I carried flashlight(s) everyday and realized that choosing particular flashlight for my EDC (Every Day Carry) stuffs is not as easy as it looked. More over if you have experienced carrying sort types of flashlights before. 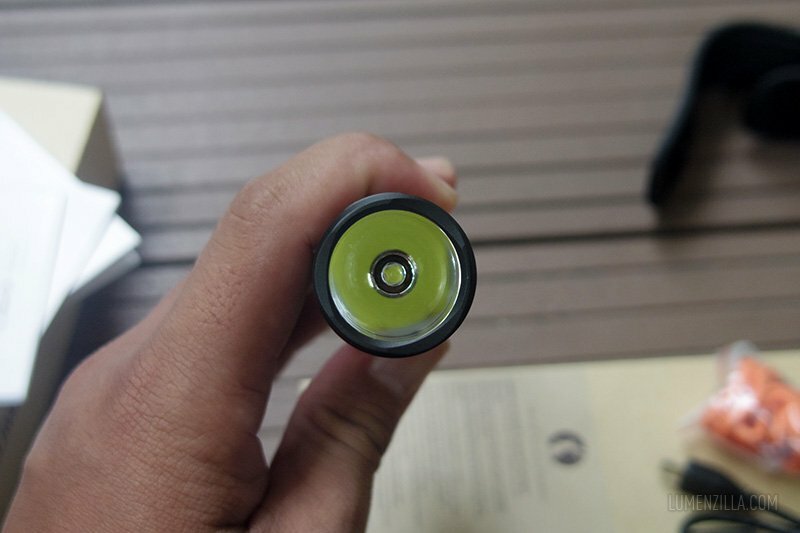 So here’s my experience with Lumintop EDC25 after carry and use it for couple of days. 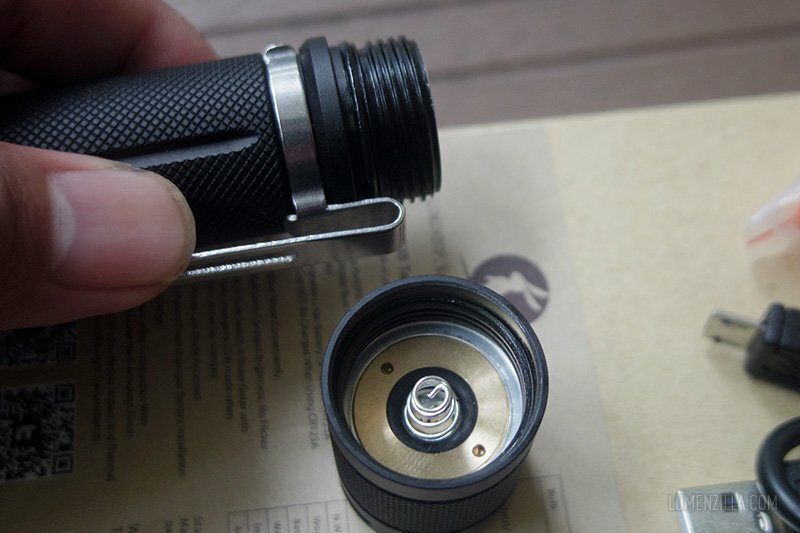 This flashlight was provided by Gearbest for reviewing purpose and I will try to be as objective as possible but I might have some subjective reasons at some points. 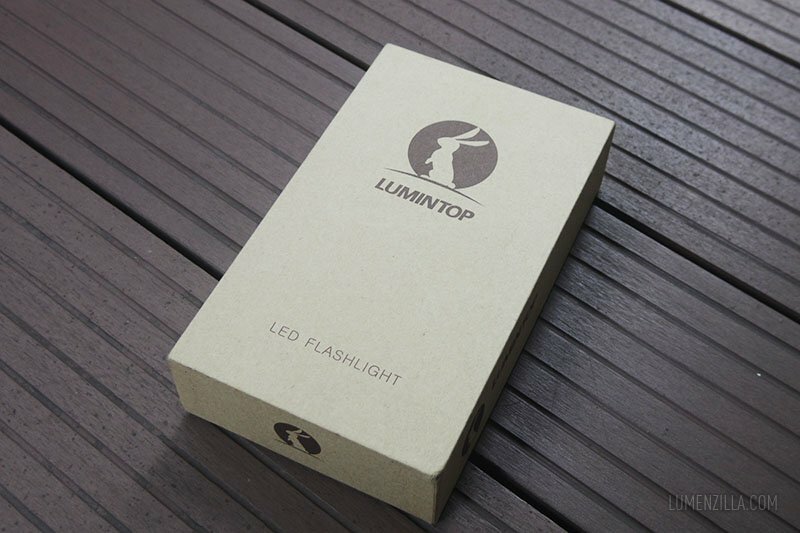 Lumintop EDC25 arrived in a strong and nice cardboard box. I like this kind of box because I can use it to store some stuffs inside, reusable. 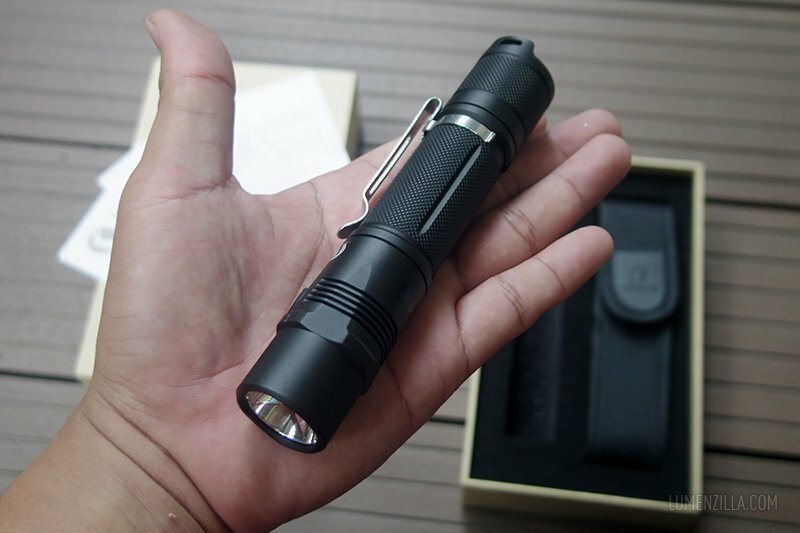 One thing to mention is that EDC25 is a rechargeable flashlight although there’s no battery included, at least for the one that sent to me. 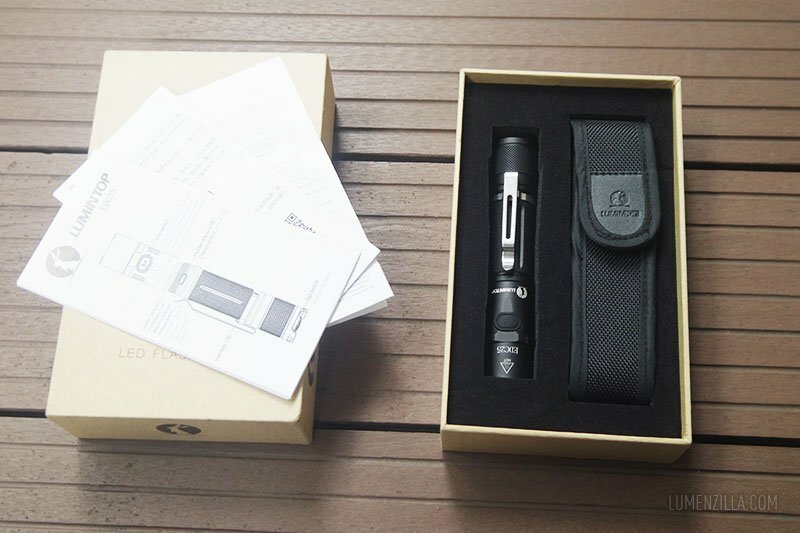 Upon opening the box, I can see the package contents: some instructions papers, a flashlight, and also a nice nylon holster with Lumintop logo on it. Oh wait, there are some more stuffs inside the holster: bright orange lanyard, spare rubber button and o-ring, and also a micro USB cable used to charge the battery directly inside the flashlight. Unfortunately there’s no 18650 battery included. But it’s not a problem, I have plenty ones to power it up. 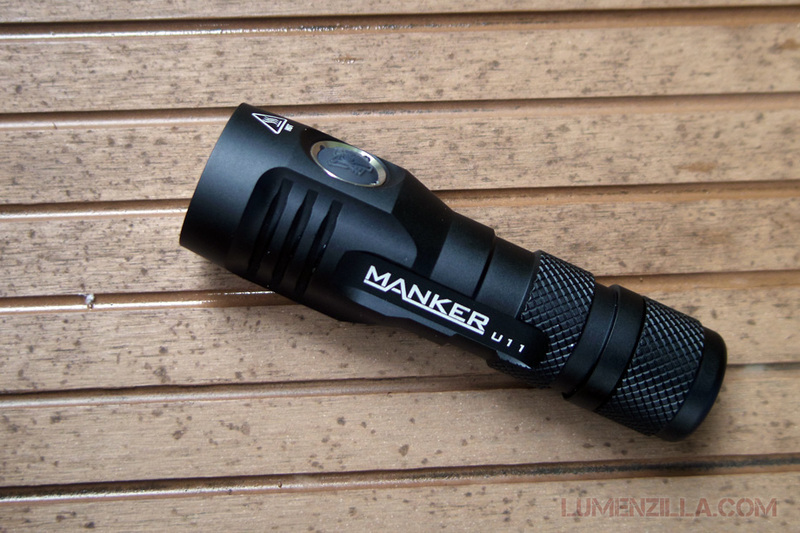 So here’s the flashlight, Lumintop EDC25 that was made for everyday carry purpose. The machining details of its body is flawless and it feels great in hand. I’m not a fan of removable pocket clip but this time I have to say that Lumintop EDC25 has a good looking and decent detachable pocket clip. 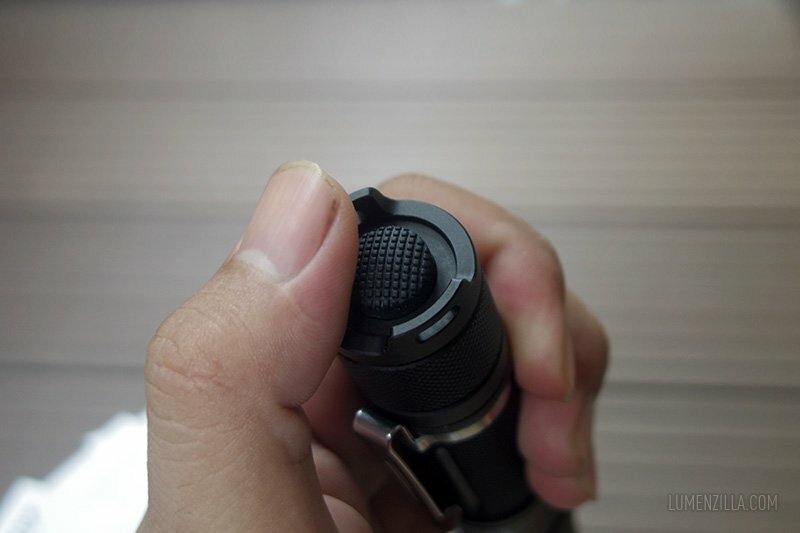 Look at the body, it has beautiful and very neat knurling pattern. There are some sort of fins on its head that I believe will help dissipate the heat during operation. Speaking about machining quality, I found that it has square threads on both head and tail and they’re well lubricated. Owner will also receive this nice looking nylon holster for carrying this flashlight easily. Lumintop EDC25 fits perfectly inside the holster and there’s a belt loop with velcro to attach it into your belt without take your belt off. 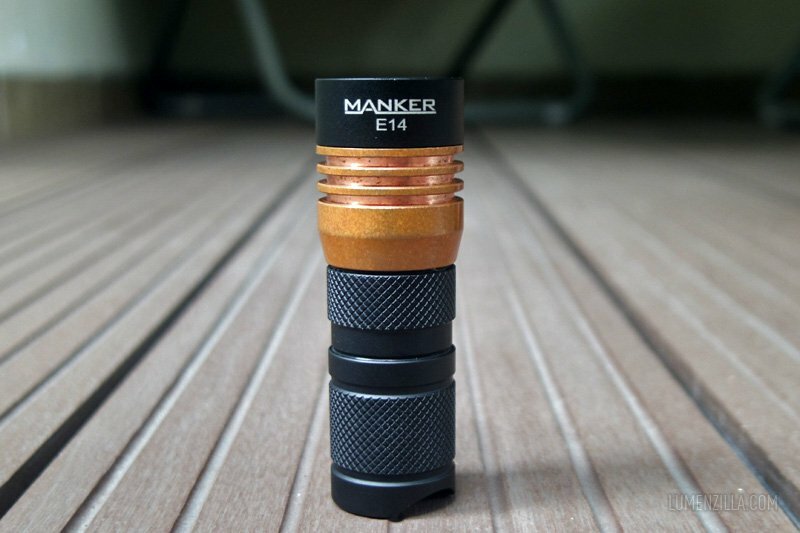 Now we speak about the main element of a flashlight, the LED emitter. 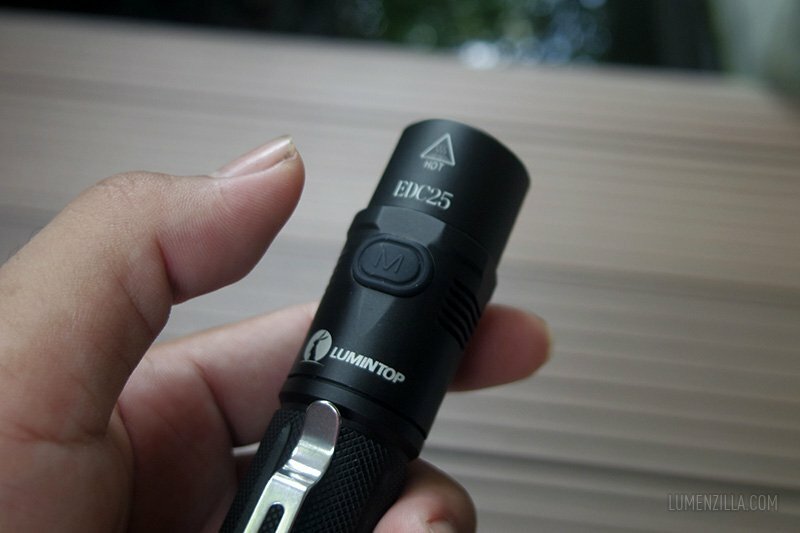 Lumintop EDC25 uses Cree XP-L (V5) LED that claimed to have 50,000 hours lifespan. 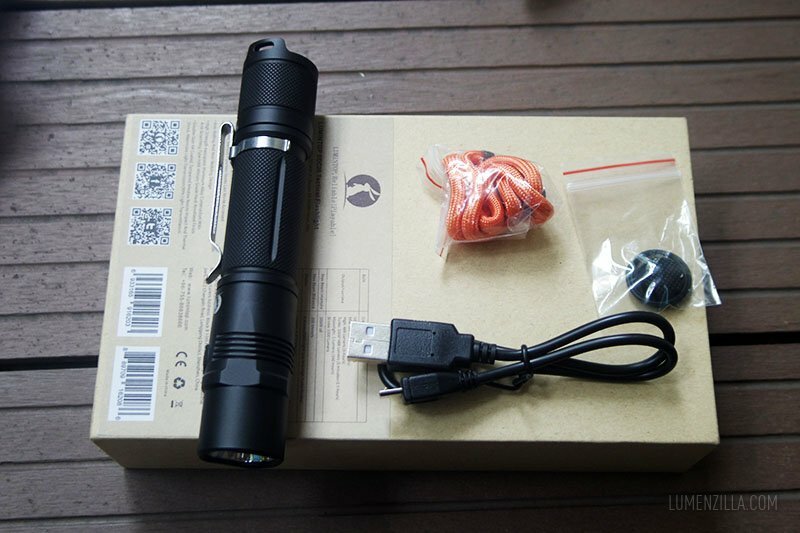 Using such emitter and powered by a 18650 battery, it can deliver maximum amount of 1000 lumens output and throw distance of up to 205 meters, thanks to smooth reflector used inside the flashlight’s head. One thing I haven’t tested yet is will I get more output if I use two CR123 (primary) batteries instead of single 18650. But I don’t think so. 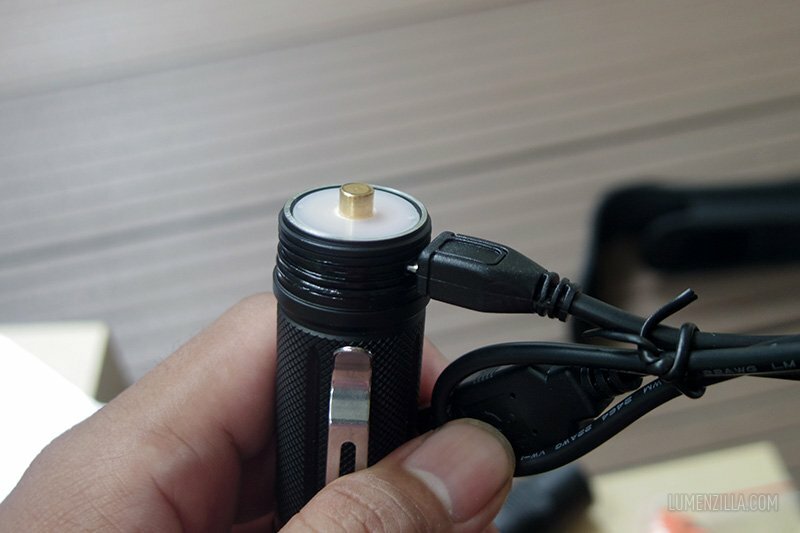 Lumintop EDC25 has two different switches, one on its tail cap (clicky) and another one on its head, an electronic side switch. Switch at tail cap is reverse clicky and functioned as the power button, just used to turn the flashlight on or off in default mode. While the other one, side switch located on its head is used to switch/cycle brightness modes. Side switch dimension is quite flat (not protuded), I think the purpose is to insert or withdraw it smoothly into/from the holster. The button will also illuminated in red color to alert user when the battery is almost running out its juice. 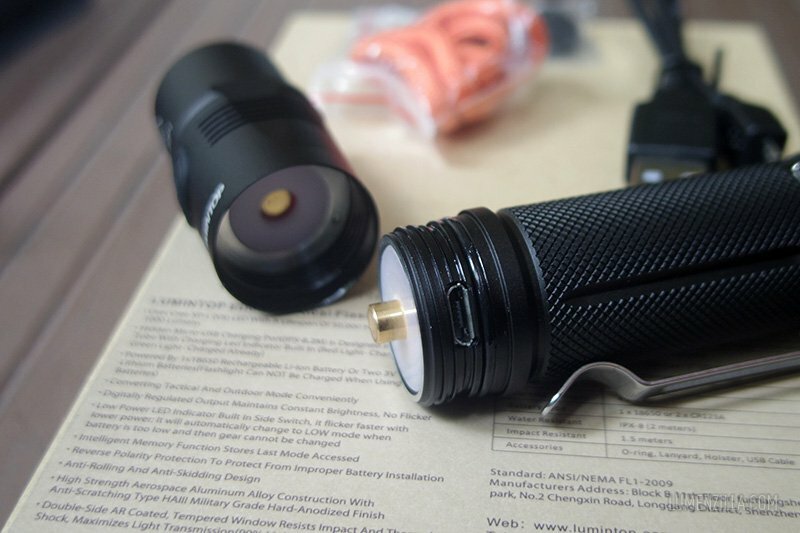 Just like Klarus XT1C, Lumintop EDC25 also has two program mode called Outdoor Mode (default) and Tactical Mode. 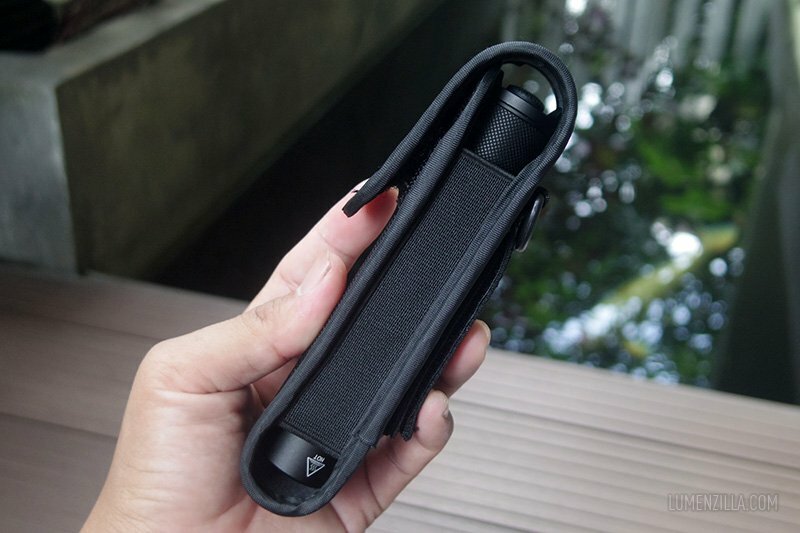 In Outdoor Mode, Lumintop EDC25’s mode sequence is quite simple. 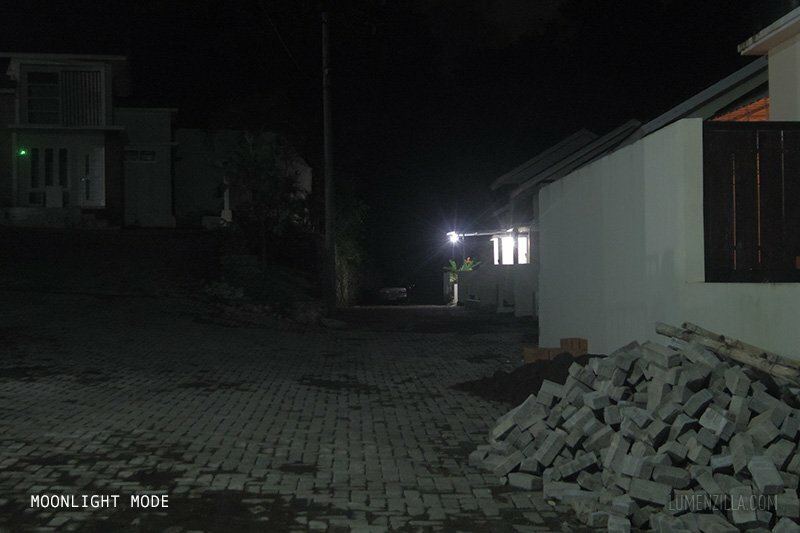 It starts in moonlight mode (still too bright, though), then low, medium, high, and turbo. It also has memory so it will always starts on the last brightness level used. To switch from Outdoor Mode into Tactical Mode, press and hold side switch for 3 seconds when it’s turned on until the light is flashing 3 times. In Tactical Mode, side switch does nothing. Operation can only be done using tail switch and the sequences are Turbo, Strobe, Low. It also has a built in charger system so you don’t need a charger to charge the battery. Just open its head and you’ll see a micro USB port for charging the battery. The white area will illuminate red while charging and turn into green color when the charging is completed. The charging duration may vary depending on the capacity of the battery used. Sorry for making this beamshot pictures in a non ideal place where some lights are still visible. But I hope you can get better perspective of Lumintop EDC25 beam pattern and profile. All pictures are taken using Pentax Q in Manual mode, exposure 0.3 sec, f/2, ISO 500. 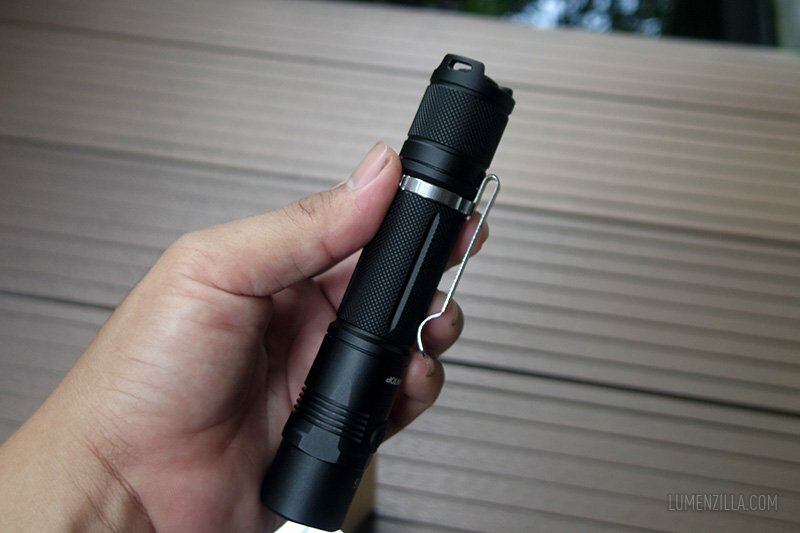 Lumintop EDC25 is an impressive EDC flashlight with a good beam throw, suitable for middle range to long range illumination task. The option to switch between Tactical and Outdoor program is a plus and user can plug it into any smartphone charger to charge the battery directly.